Sgor an Lochain Uaine is a picturesque mountain with Lochan Uaine (little green loch) cradled high on its slopes. Its craggy slopes form the S andW walls of An Garbh Coire and it faces Braeriach across the corrie (to the N). 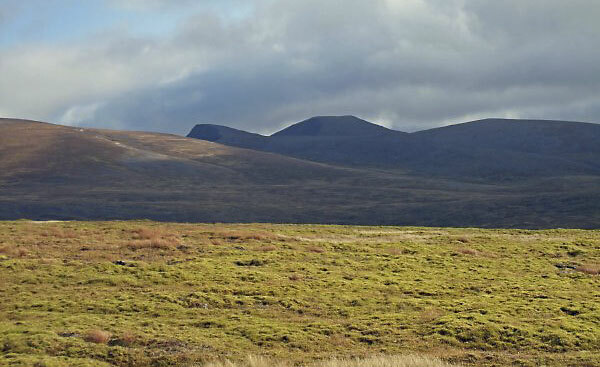 It has easy slopes to the S and W. This mountain is normally climbed from Cairn Toul to its SE, but can also be climbed from Glen Feshie or Gleann Einich to the W.
Sgor an Lochain Uaine from Braeriach. Sgor an Lochain Uaine viewed from the top of Cairntoul with the Falls of Dee seen to the right dropping into the An Garbh Choire. The summary information of one or more ascent routes that include Sgor an Lochain Uaine. 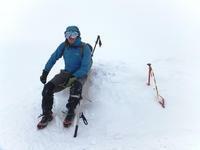 Me at the summit of Sgor an Lochain Uaine, 01/03/14. Summit of Angels Peak, 09.08.12. Post a few words about Sgor an Lochain Uaine or read what others have had to say. 2nd time around, ascended via the NE ridge. A pleasant airy scramble in an alpine like setting! If you climb this hill from the Linn of Dee then Sgor an Lochan Uaine will be a welcome sight. 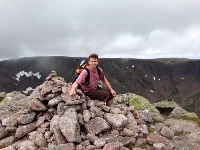 From Cairn Toul it looks a mere swell on this high level ridge that runs to Braeriach. I'm sure the idea that it is of Munro status will cause a few debates. 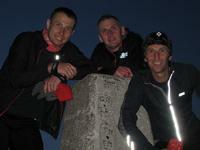 From the summit it is possible to skirt Cairn Toul instead of having to climb it again on the return leg. Summited this from Inverey (Braemar) via Corrour, Devils Point, Cairn Toul then back to Inveray. Well worth cycling to Derry Lodge (easy ride). 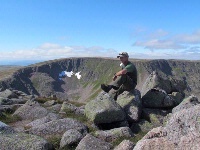 It's difficult to agree that this minor bump on the huge Cairngorm upland plateau is really a Munro! It's a long day with quite stoney terrain on the tops. Great SYHA in Inverey! 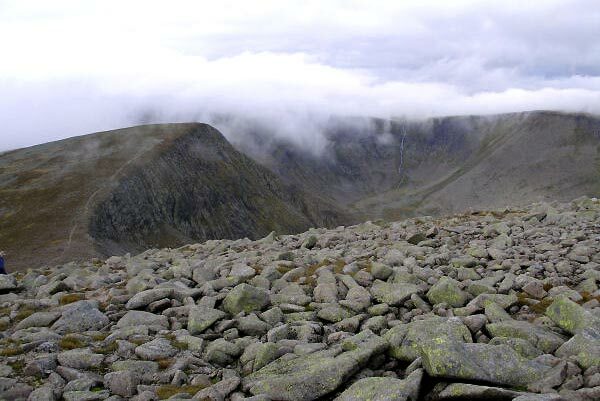 A superb route that I undertook in June 2000 was to climb this peak via its NE ridge. Bike into the glens from Braemar as far as possible, cross teh Luibeg to Corrour bothy and then follow up Lairig Ghru to obtain An Garbh Coire bothy; from there straight up nearly 2000ft of grade 1/2 scrmble to arrive on teh summit. Wonderful! Fantastic high level traverse the around corrie rim to Braeriach and then descend by SE ridge to reach Lairig Ghru and walk back to bikes; about 22miles walking 10 miles biking, a long day but well worth it. Masses of summer palteau snow too.